Get together with your friends, family and church, for an epic evening of poverty fighting fun. For one night only - churches and other groups up and down the country will be taking part in the biggest multi-venue, nationwide quiz ever. We'd love you to join in. Every pound raised will help transform the lives of people living in poverty through the work of Tearfund. 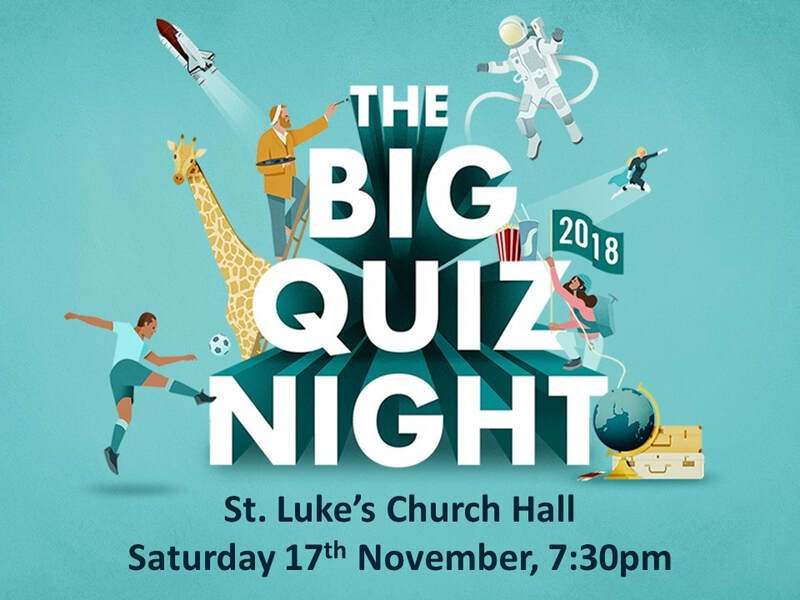 Join us at St. Luke's Church Hall for the Ramsgate part of the quiz at 7:30pm on Saturday 17th November. There will be no charge, but we will be asking for donations towards Tearfund during the evening. Please feel free to bring your own nibbles and drinks, but we will also be offering tea, coffee and cake during the evening.